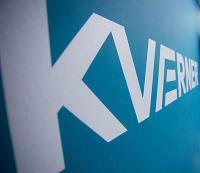 Kvaerner is one of several contractors selected by Aker BP for long term framework agreements. The agreement covers construction and hook-up of fixed offshore platforms, including topsides and steel jacket substructures. The first project is expected to be the Valhall West Flank normally unmanned installation. In the oil and gas industry, Aker BP has taken a significant role in driving step change reduction to costs and project execution time, while simultaneously enhancing HSSE. The operator’s ambition is thus to increase the productivity, quality, flow- and time efficiency throughout the value chain, and thereby increase the value creation and competitiveness of the company. A strategic core element in this effort to improve is to enter into long-term, interdependent collaboration with strategically important suppliers. The intent of the entered framework agreements is that Aker BP in the company’s field development- and modification projects develops and executes work by using a more integrated project delivery model; a “Platform Alliance” for each project. Under AKR BP’s management, Kvaerner and the other alliance members will work integrated, with a “One for All – All for One” mind-set. With the frame agreement, Kvaerner’s role in the alliance will include fabrication of jackets and topsides for fixed platform installations. In the agreement, hook-up and commissioning assistance is also defined as key Kvaerner roles in upcoming projects. The value of the agreement will depend on which future projects Aker BP decides to call off deliveries from Kvaerner for. “For Kvaerner, to become a strategic alliance partner with Aker BP opens up significant business opportunities. Our role in the alliance means that we can leverage the expertise and capabilities from Kvaerner’s entire organisations at Stord, in Verdal and at Fornebu. The agreement is also an important driver for further development of new solutions, such as Kvaerner’s Subsea on a Stick® concept for small, cost effective unmanned platforms,” says Jan Arve Haugan, President & CEO of Kvaerner.